A Canadian MP and former Cabinet minister has resigned from a federal national security oversight committee amid a sexting scandal. Mr Clement said he was the victim of an attempted financial extortion after sharing sexually explicit images “with someone I believed was a consenting female”. 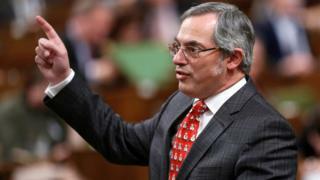 Conservative Party Leader Andrew Scheer said that he accepted Mr Clement’s resignation from the security and intelligence committee and as the party’s justice spokesman following the revelations. “I think we can all agree this was a very poor decision,” he told journalists on Wednesday morning. Mr Clement had top secret security clearance and access to highly classified information as a member of National Security and Intelligence Committee of Parliamentarians. That body has a broad mandate to review the country’s security and intelligence organisations. The centre-right Conservative Party is currently Canada’s official opposition.